Notes: Was a great place to buy local releases! 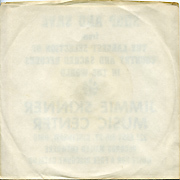 Jimmie Skinner Music Center - Black ink on cream sleeve. Reverse is blank. 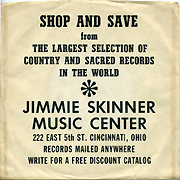 Early 1960's 6-12 A lot of great local records went through here over the years!